Liverpool opened the scoring against West Ham in controversial fashion. Manchester City fans are not happy with what happened yesterday when Liverpool benefited from a poor decision from the officials in their clash with West Ham. An astonishing error from the linesman handed Liverpool a crucial opener in their Premier League clash. James Milner was clearly in an offside position when he received the ball to provide the assist for Sadio Mane in the 23rd minute of the clash at the London Stadium. 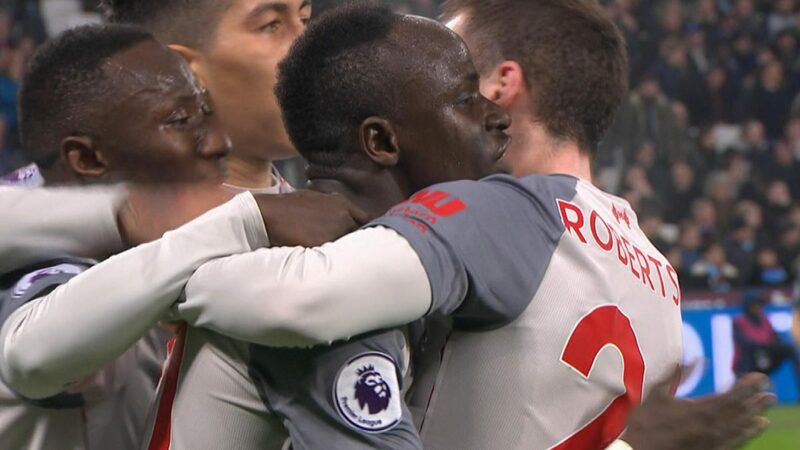 In the absence of goal line technology, the goal was allowed to stand and the Reds were on their way to moving five points clear of nearest rivals Manchester City at the top of the table. Liverpool benefit from another offside goal. Water is wet.